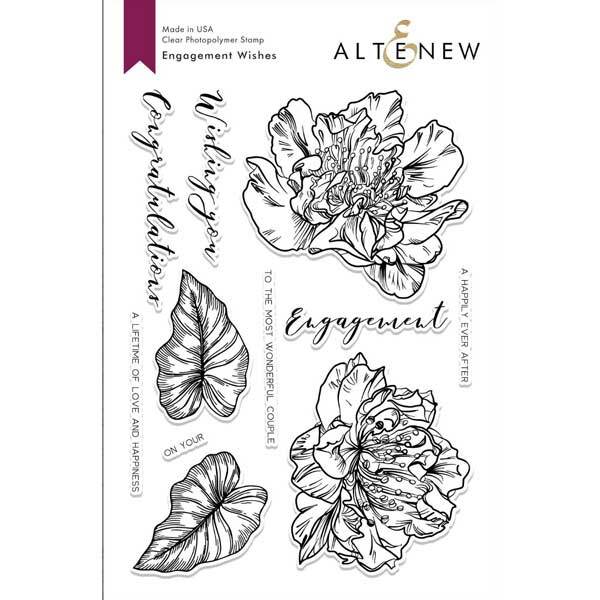 Engagement Wishes stamp set by Altenew. 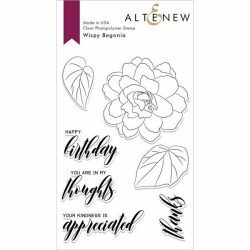 This beautiful floral stamp set includes 4 flower and leaf outlines, along with 7 heartfelt engagement sentiments. Create lovely engagement cards for your loved ones with this set. 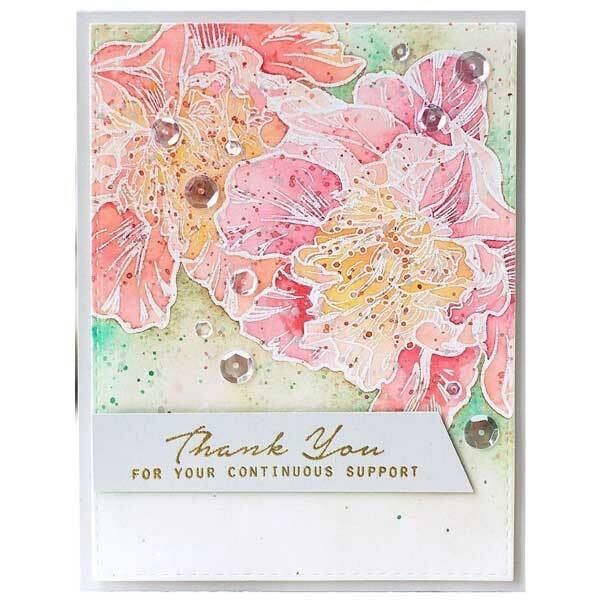 The flower and leaf images can also be used to create backgrounds for mixed media projects! 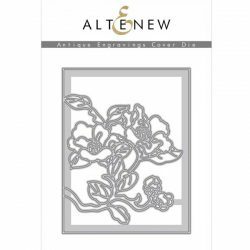 This is a 6″ x 8″ clear stamp set containing 11 stamps made in the USA from high-quality photopolymer. Check out the matching dies below.